The Greatest Knight in All the Land, and the hero of our story. 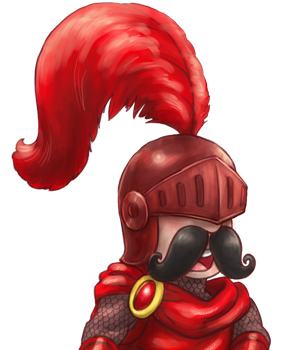 Red Knight has gone on more adventures than any other knight in the history of Kingdom. He is much taller than his brother, Green Knight. The Smartest Knight in All the Land. 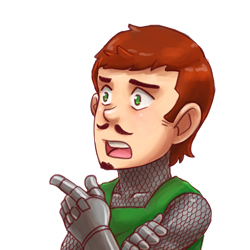 Green Knight is Red Knight's younger brother. He enjoys reading books on mechanical engineering in his spare time. He would like us to mention that he and Red Knight are exactly the same height. The Strongest Knight in All the Land. 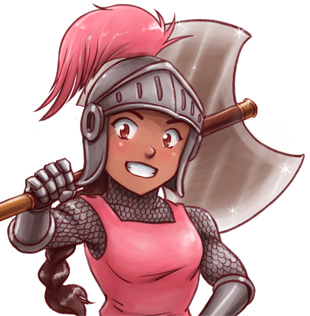 Pink Knight is famous for her positive attitude, boundless energy, and ability to karate chop boulders in half. She loves animals of all shapes and sizes. The heir to the throne of the kingdom of Kingdom. 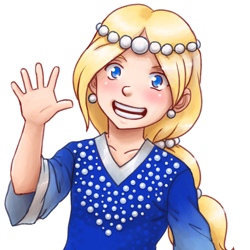 Princess Pearl is a kind-hearted girl who is loved by all of her subjects. The king of the Searing Mountains, lord of goblins, terrifying dragon, and all-around dastardly villain. 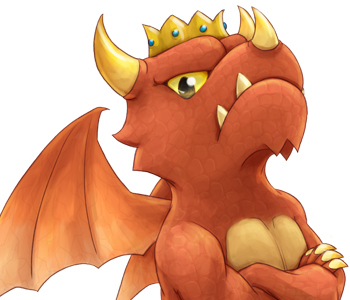 King Dragon is always scheming to kidnap princesses, steal priceless treasures, and generally cause mischief. 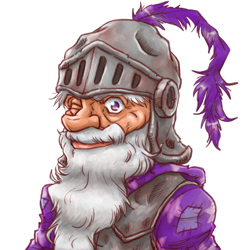 Purple Knight is the oldest knight and most experienced wizard in the kingdom of Kingdom; however, most of his spells wind up going wrong in an unexpected fashion. 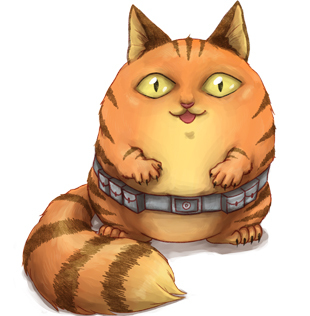 Captain Zort is a fat, catlike space alien that marooned himself in the Kingdom after crashing his ship. He is reckless, irresponsible, and hates being mistaken for a cat. 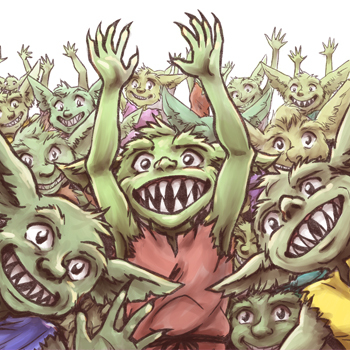 A small and ugly species, goblins perform any task given them with a cheerful smile, no matter how much King Dragon yells at them. It is theorized that the only reason they follow King Dragon is because he is loud enough to be heard over their constant babble. Red Knight's noble steed is a giant rabbit. She stands five feet at the shoulder, and is as brave and noble as she is white and fluffy. The gnomes of the kingdom of Kingdom are a hard-working, industrious people. They all wear tall, conical hats of various colors, and speak in a very distinctive language known as Meep.